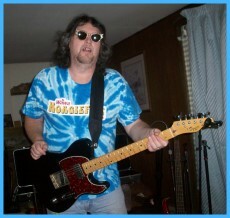 Steve Eddy was the drummer for the "AXX Rock n Roll Band" reunion on July 4th, 2015, at Rich Schock's last annual party. He was so in-sync with the tunes I asked him to play on the AXX redo project. He wanted me to do his EP, the "Steve Eddy Band Covers Up". Steve was so prepared for this project that it made my job as an engineer smooth as silk. Please enjoy these rare covers from the Osmond's, the Divinyls and others. "Working @ Jimmero Studio was lightning-fast, the best time I've had in a studio. His techniques and ear are top notch. My latest EP is something special thanks to Jim Roney."